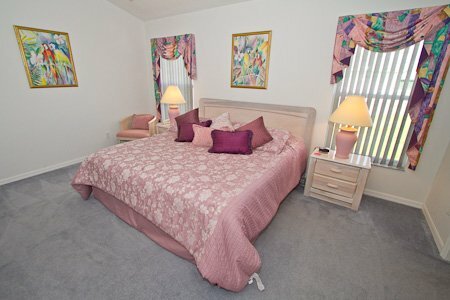 Our villa is situated on one of the closest communities to Walt Disney World. Only 3 miles to Animal Kingdom and even closer to a good variety of restaurants. The community has a tennis court, baseball court, outdoor gym and 2 children's playgrounds, one of which is at the back of our villa. The villa has an open aspect at the rear overlooking pine trees which encourages wildlife such as squirrels and rabbits and humming birds which feed from the hibiscus surrounding the pool. "29th October to 15th November 2016 We had a great holiday and the villa was perfect. The weather was mid-eighties on our first week and then cooled to mid-seventies, still warm enough to use the pool. Thanks again for making it an easy experience." "7th to 27th October 2016 We had a wonderful holiday and the villa was excellent and had everything you could want. We would not hesitate to come back to the villa and we are already giving the information to one of my wife's friends and would not hesitate to recommend your villa to any of our friends or relatives. We thank you for your help in the booking of the villa and directions." "17th August to 1st September 2016 The villa was lovely and the boys loved the pool, our room was great with the biggest bathroom ever. It is in an ideal location and lovely and quiet ( which I appreciated ). We would not hesitate to return"
"5th to 19th July 2016 We all had a great time, location of the villa was excellent. Accommodation fantastic. We would recommend the use of your villa to friends and family. Thanks"
"21st June to 5th July 2016 Just a short email to thank you for the use of your wonderful villa for the past 2 weeks. We all had a great time and the location was perfect. 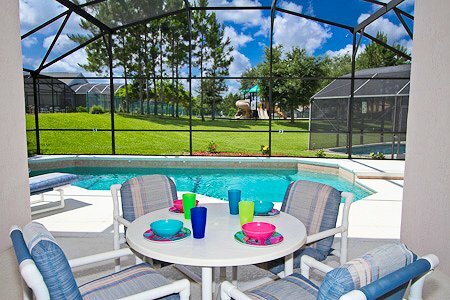 Thanks again and we will recommend your villa to anyone who is heading for Orlando." "13th to 20th May 2016 Just wanted to say a huge thank you for your lovely villa. It was simply a joy to return there especially after a week in just one hotel room - i was so excited by all of the space! 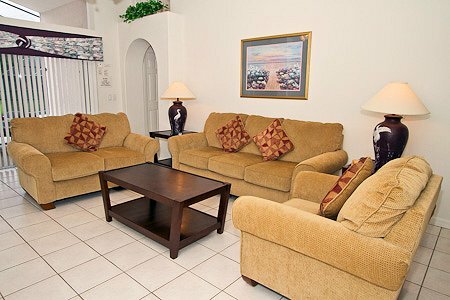 The villa itself was very clean and had everything we needed and I would certainly recommend it to others." "30th April to 12th May 2016 Our second stay at the villa and hoping there will be a third. It was the perfect place to be. Our three grandsons enjoyed the pool on a daily basis. The days we didn’t go to the parks, they were perfectly happy to be just here. Thank you Jacqui and Paul for being the nicest people to deal with. You both make accommodation planning so easy." "22nd March to 5th April 2016 We all enjoyed our visit to Orlando. Thank you for letting us use your lovely villa. We all loved jumping in the pool for a few hours and visiting the parks. We hope to be back soon. 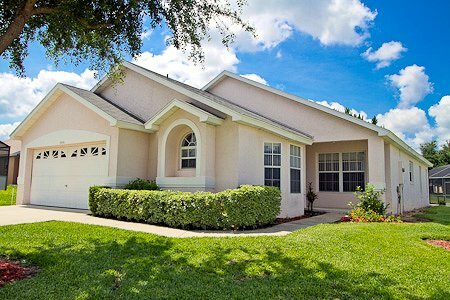 Your villa is so well situated for the Disney Parks, and even the longer drives to Universal, Sea World and Discovery Cove didn't take too long at all. The villa is in such a nice location and we've already all said we'd very much like to come back for another holiday. Thank you very much for everything." "13th to the 19th March 2016 The villa was great! Our kids loved the pool and there was a lot of space for all of us. We had amazing weather also which made for a great holiday! 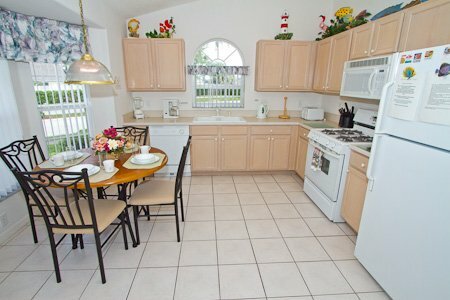 We will be sure to let others know of your place if they are looking for a holiday in Florida. 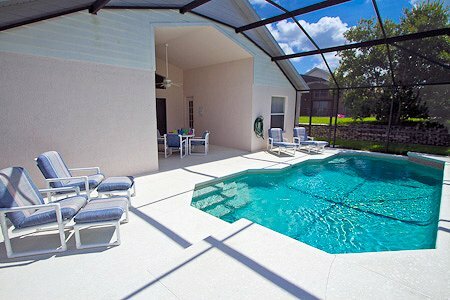 Takacs, USA"
"5th to the 12th March 2016 We were very pleased with the villa. The rooms were very clean and well laid out. The pool was enjoyed by all. The location is great for visiting all the Disney parks - which we did! Thank you again for sharing your home with our family. Chuck Lorentz, USA"
"15th February to the 4th March 2016 I want to thank you both for sharing your home with us, the villa has really enhanced our vacation. 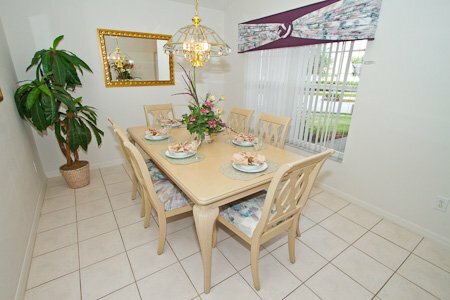 There is plenty of room for the family to dine and play together. We visit the neighbourhood park most days to use the basketball and tennis courts or playground. I would be remiss if I didn't mention the pool. It is the center of attraction for the children.Our first impression of the villa was the pleasant neighbourhood and the open floor plan really impressed us. 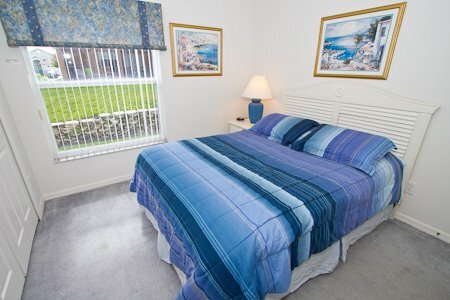 We found all the rooms to be clean, comfortable and accommodating. The home is quiet, very little road noise or neighbours. The location is great for the Disney parks. All the parks are less than 15 minutes from the villa. I don't know what has been better Disney, the villa or the weather?." Please enquire for more details on booking this villa. LIVING AREA The light and airy family room has a vaulted ceiling and a large ceiling fan with a tiled floor. It has ample comfortable seating with tasteful furniture. There is a 39” flat screen cable TV, a DVD/video player complete with a selection of films. There is also a CD / radio stereo system, with a small selection of CD's. There is also a choice of books and board games available. There are large patio doors at the end of the room which open out on to the swimming pool and patio via a covered lanai. KITCHEN AND DINING The kitchen includes gas oven and hob, microwave, refrigerator and freezer, dishwasher, pantry, plenty of work space and all cutlery and pots and pans. There are all the usual modern appliances and also a dining table and 4 chairs in the breakfast nook. A door leads to the garage which contains the washing machine, tumble dryer and ironing board. There is a separate formal dining room which is tastefully furnished with a full size dining table and six comfortable chairs overlooking the front of the property. The main master bedroom has a super king-size bed, bedside cabinets with clock radio alarms, large chest of drawers and cable TV as well as a ceiling fan. 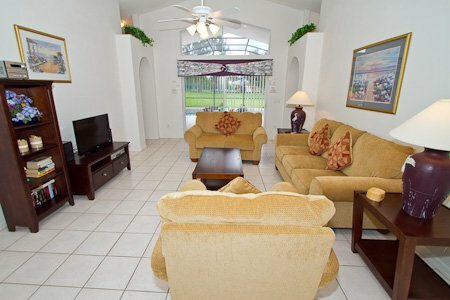 There is a sliding patio door which overlooks the lanai and offers additional access to the pool. There is a large en suite bathroom incorporating a large walk-in shower, garden tub, WC, vanity unit with his and hers washbasins with a large mirror with film star lighting at the top. This in turn leads to the walk-in closet that provides ample room for clothes. The second master bedroom has a queen size bed and also features a bedside cabinet, chest of drawers, double built-in wardrobes and cable TV as well as a ceiling fan. There is also an en suite bathroom with wash basin, vanity unit, bath, shower and WC. The third bedroom has twin beds, chest of drawers and double built-in wardrobes as well as a ceiling fan and is decorated with a seaside theme. 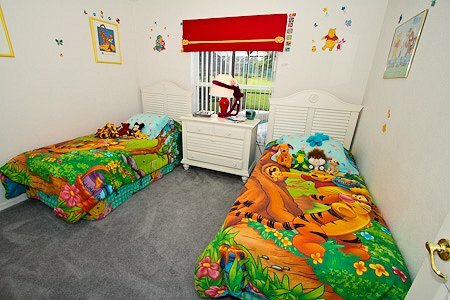 The fourth bedroom has twin beds, and is themed on the Lion King and with Disney accessories. There is a chest of drawers and double built-in wardrobes as well as a ceiling fan. Between the third and fourth bedrooms is a family bathroom containing a full-size bath with shower, washbasin with vanity unit and WC. There is access from this bathroom to the pool area. The south facing swimming pool features tiled steps, underwater lights and a patio light for evening bathing. As the pool area faces due south, this means that you will be able to catch the Floridian sunshine from early in the morning until evening. A full set of comfortable upholstered patio furniture including sun-loungers, reclining chairs and footstools and a table and 4 chairs is set around the pool. The Lanai provides a shaded area for those who do not wish to be in the sun but still benefit from being outside. It also has a ceiling fan to help you cool down. A barbecue can be hired for a small charge from our management company if you would prefer to cook and eat outside. As the outside area benefits from an open aspect, we have seen squirrels, rabbits, various birdlife and even racoons playing in the trees at the back. 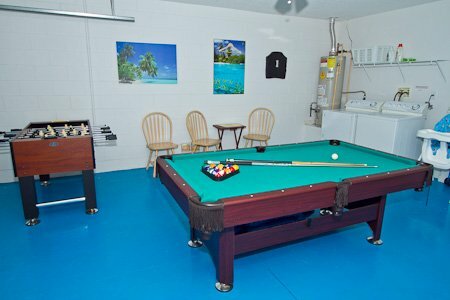 The games area contains a pool table, table football and electronic darts.